If the only sentence describing a book was that it contained “harrowing descriptions of pain,” most people would probably run the other way. But for me, a pain management psychiatrist, that phrase is a clear invitation to rush to the first page. 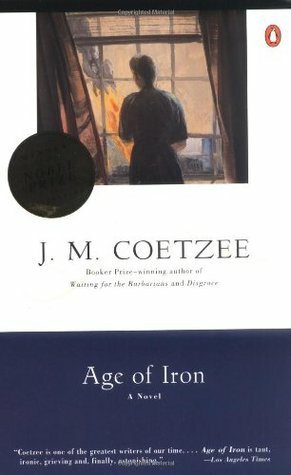 South African author J. M. Coetzee has written Age of Iron which describes the pain of apartheid, loneliness and cancer. I was on my way out to the shops, in the act of opening the garage door, when I had a sudden attack. An attack: it was just that: the pain hurling itself upon me like a dog, sinking its teeth into my back. I cried out, unable to stir. As long as the burden is a burden of pain alone I bear it by holding it at a distance. It is not I who am in pain, I say to myself: the one in pain is someone else, some body else who shares this bed with me. So, by a trick, I hold it off, keep it elsewhere. And when the trick will not work, when the pain insists on owning me, I bear it anyhow. As the pain recedes, as time quickens, as the horizon lifts, my attention, concentrated like a burning glass on the pain, can slacken for a while; I can draw breath, unclench my balled hands, straighten my legs. Give thanks for this mercy, I say to myself: for the sick body stunned, for the soul drowsy, half out of its casing, beginning to float. But the respite is never long. Clouds come over, thoughts begin to bunch, to take on the dense, angry life of a swarm of flies. I took two of the new pills. Again the miraculous draining away of pain, the euphoria, the feeling of being restored to life. I had a bath, got back into bed, tried to read, fell into a confused sleep. In an hour I was awake again. The pain was creeping back, bringing with it nausea and the first edge of the familiar shadow of depression. The drug over the pain: a shaft of light but then darkness redoubled.